Can You Freeze Milk? 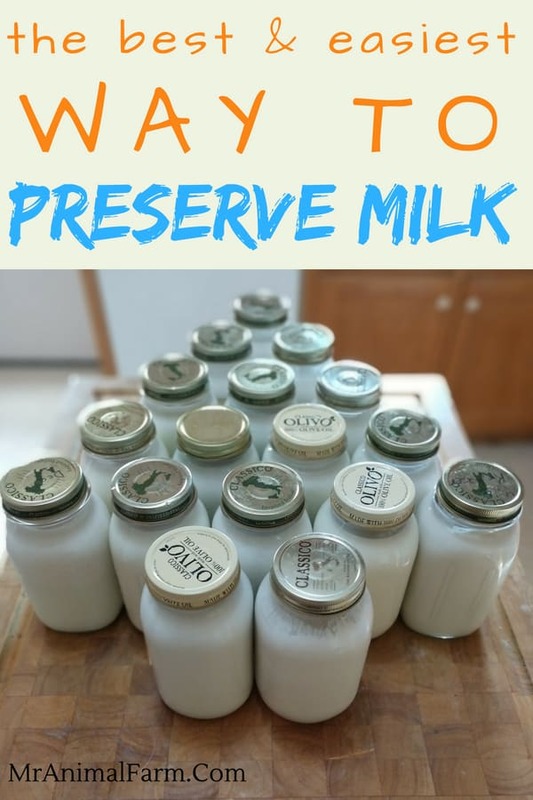 The Best & Easiest Way to Preserve Extra Milk! A few years ago, when we were only milking two goats we would use our milk right up. Fast forward to today, we are milking upwards of 14 goats every day and we are OVERRUN with milk! So, we need a fast and easy way to preserve all this extra milk. This left us wondering, can you freeze milk? Luckily, the answer to can you freeze milk is a resounding YES! Freezing milk is SUPER easy. It does not take up a lot of time and the quality of the milk stays pretty good. You can pasteurize your milk and then freeze it, or if you use your milk raw, you can just freeze milk raw. Even if you aren’t crazy like us – milking 14 dairy goats a day – you might still have a need for figuring out how can you freeze milk. Even if you don’t milk goats at all, but perhaps find a great sale on milk, you might want to know how freezing milk works. 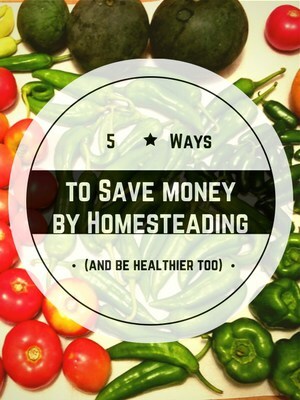 One of the main ways that we save money is by shopping sales, using coupons and stockpiling when the price is at a rock bottom. 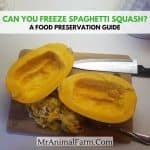 We have been known to buy tons of something if it is on sale and then preserve the item for later use, like: freezing blueberries, freezing peppers, freezing mashed potatoes and freezing spaghetti squash. There are several general ways that you can preserve food – pressure canning, dehydrating, water bath canning and freezing just to name a few. We usually have so much stuff going on here that we try to use the FASTEST way to preserve things. This usually ends up being by freezing the food. So, when we found that we were overrun with milk we found ourselves asking, can you freeze milk? 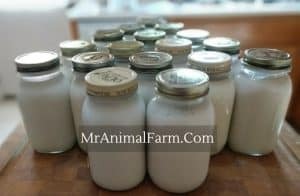 Whatever your reason is – whether you have a bunch of goats you are milking, a milk cow or you just found a banging sale – we have found that freezing milk is the BEST way to preserve milk. Ok, so now that we understand that we can freeze milk, how exactly is this done? Freezing milk is super easy and you only need a few supplies. Once you have decided that freezing milk is the best way to go, make sure to gather your supplies and then follow this process. It is not difficult at all! If you are milking your own goats or cows, you will have a few more steps to take. 1) You will need to filter your milk. This is pretty simple. 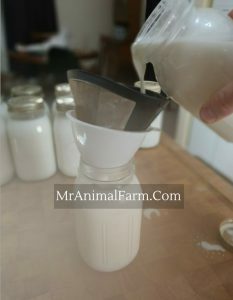 Place the stainer/filter – we like to use this milk filter – into your glass jar. Then slowly pour your milk through the filter to remove any hair or debris. 2) Pasteurize your milk, if desired. If you like to pasteurize your milk before using it, you will now want to pasteurize your milk. Pasteurizing is pretty simple, but it does take a little time. Here are some easy instructions on how to pasteurize milk. If you have already filtered and pasteurized your milk or if you bought your milk from the store, then you are ready to get started on the next steps. Here is when we get right to how to freeze milk. 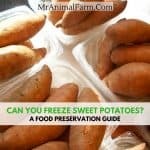 1) You will want to use freezer bags. We like to use quart bags so that the amount of milk is manageable. The smaller bags are also easier to find room for in our deep freezer. However, you can also use gallon freezer bags, if you prefer. 2) Label and Date the bags. 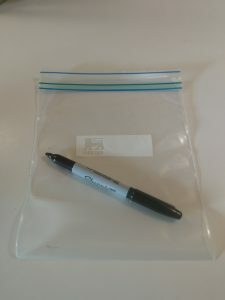 Using a sharpie or other type of permanent marker, write the date and what you are freezing on the label area of the bag. 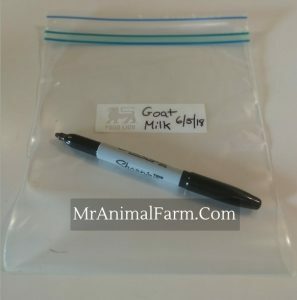 We usually just write something simple like “Goat Milk 6/5/18”. Making sure to date the bags as you are freezing milk is important, otherwise you might now know how old the milk is later on. And although by freezing milk it SHOULD technically be safe long term, after a 6 months is really when quality can start to degrade. 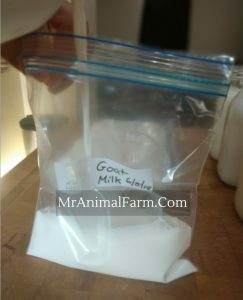 3) Slowly Pour Milk into Labeled bags. We always make sure to have the milk portioned out first. We like to freeze milk in quart bags, so we have the milk measured into quart glass jars first. By measuring your milk out before freezing the milk, it makes sure that you don’t overfill the bags. As the milk freezes, it will expand. So, if you overfill the bags, it can cause them to burst when the milk freezes. 4) Squeeze Out Excess Air & Close Bag. We try to get out all the excess air possible before zipping the bag shut. Excess air can make it harder to stack the bags of frozen milk. Having excess air will also cause air pockets to gather in the milk which can be a pain to deal with. 5) Lay the bags flat in your freezer. We try to make sure that when we are freezing milk that the bags are laid flat. This makes the milk freeze evenly. Having the milk frozen evenly makes it thinner and easier to stack the bags up later. How long can you freeze milk? Technically, when something is frozen, it should last indefinitely. However, there is usually a best by timeframe on food products. This means that while it may still be safe to use or eat after the best by timeframe, the quality may significantly decrease. When freezing milk, the accepted best by timeframe is 3 – 6 months. Can you Freeze Milk and then Drink it? So, maybe you don’t do a lot of cooking and you aren’t using your milk to bottle feed baby goats or other animals. You might be wondering if you can freeze milk and then use it for regular drinking. The answer is yes, you can drink milk once it has been frozen. It will have a tendency to separate after freezing. This means that the cream will separate from the milk. So it may have a different taste or texture. To minimize the separation, be sure to shake the bag well after thawing. After freezing milk how long does it take to thaw? While you can thaw your frozen milk under running water, that takes time. 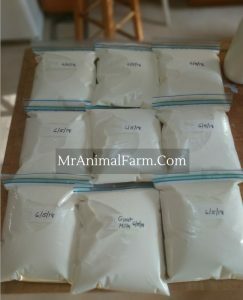 So, we usually just pull the bag of milk out the night before we need it and place it in the refrigerator to thaw overnight. Thawing frozen milk in the fridge usually takes about 12 hours or so. Can You Freeze Milk That is Expired or is Expiring? You definitely don’t want to be freezing milk that is already expired. If it has already expired then it should just be tossed out. 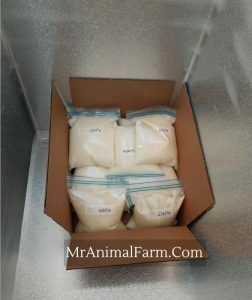 If you are wondering if you can freeze milk that is getting ready to expire, that is up to you. However, the fresher the milk the better results you are going to get when freezing it. 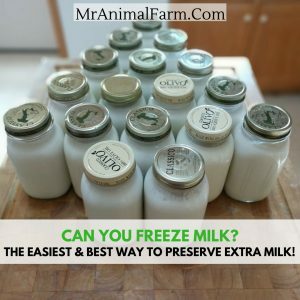 Now that you know the answer to can you freeze milk not only is YES, but that it is a simple process you can make sure you don’t waste any milk. You can also be prepared to actually stock up on milk if you find a great sale! 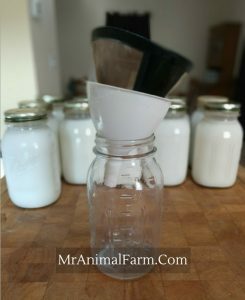 Learning how to freeze milk has been a fantastic time and money saver for us and should be for you too! 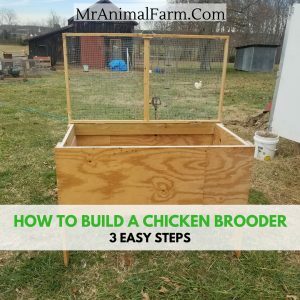 Chick Brooder Plans – How to Build a Brooder in 3 Steps! Why would you need to build a chick brooder? 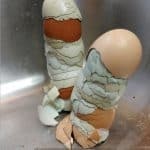 So, you already know how to incubate and hatch your own chicks. 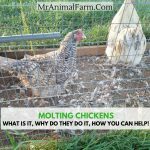 You know how to set up their inital early stage brooder. But, a chicken math sets in you may find you have a need for a larger chicken brooder. We have some easy chicken brooder plans that we use to build ours…. 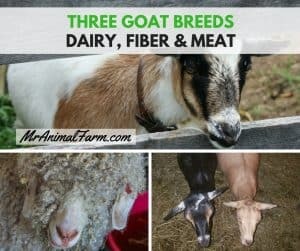 You can break goat breeds down into three general categories or types of goats: dairy goats, fiber goats or meat goats. When you are trying to decide what types of goats will be best for you, you should know what each goat breed is used for. Afterall, it wouldn’t really do you much good to get one of the goat breeds that is a meat goat when you are wanting to get goats for milk or vice versa. Some goat breeds are dual purpose breeds as well, so that may also play a factor in your decision. Dual purpose goat breeds are types of goats that can be used for two purposes. For example, a goat breed that does well for both milk and fiber would be one of the dual purpose types of goats. There are almost as many types of peppers as there are people in the world. Well, maybe that’s an exaggeration, but there certainly are a lot of varieties. When you are thinking about the different types of peppers, first, you can break them into two general pepper types: hot and sweet. Both hot peppers and sweet peppers can be delicious, it will really depend on what you are using them for as to which general type of pepper you will want to use. Then, within, each of those general types of peppers you have specific pepper varieties. A quick look online will tell you that there are upwards of 50,000 different pepper varieties! Holy smokes, that is a lot of different types of peppers!! Peppers are one of the easiest vegetables to grow. Since they are so easy, we usually like to add several types of peppers to our garden each year. That means we get a LOT of peppers. We usually freeze peppers so that we can use them all year round. With at least 50,000 types of peppers to choose from, it may seem a little overwhelming when you try to decide which peppers would be best to add to your garden. We always try to add a few sweet peppers and a few hot peppers since they are used in different foods. 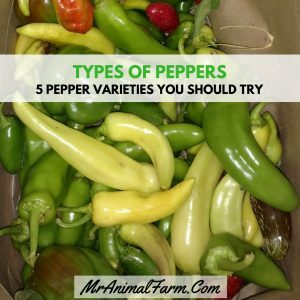 Most of the types of peppers that we usually plant are pretty common – that way they can be used in multiple ways and multiple dishes over the year. Here are 5 types of peppers that you should add in to your garden plans. 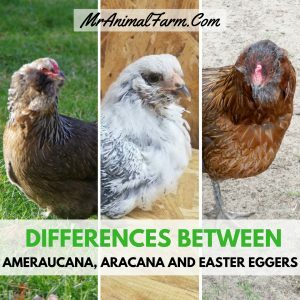 Differences between Ameraucana, Aracana and Easter Egger chickens are important to be aware of due to the fact that many people confuse them and think they are all the same breed. A lot of people think that Easter Egger chickens are the same as Ameraucana’s and Aracana’s, but they are not….